When it’s the dead of winter and you awake in your bed to a frosty room in the middle of the night, you know something isn’t right, in fact something has gone horribly wrong. You and your family are now freezing in your own home, and you’re even under the covers! This is a result of a broken furnace. When your furnace chooses the worst time of year and day to stop working, you want to have dependable furnace maintenance on your side. Having the option of 24 hour emergency service is just one aspect to why Premier Heating And Air is the best heating system repair in Denver. When you hire Premier, you get experts in heating systems that take pride in the work we do. We want our customers to know that in a time of need and emergency, they can depend on our emergency furnace maintenance. You can rest assured that your emergency is ours, and we’ll do everything in our power to repair your furnace. What Else Can You Depend On With Our Furnace Maintenance? Our customers benefit from the same affordability as our other HVAC services. You get the same 100% satisfaction guarantee. 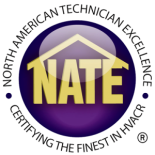 The same NATE certified technicians will handle your emergency heating system repair. When in need of our furnace maintenance in Denver, Premier Heating and Air is there. Contact us today for more information on our emergency services.